Sony is making moves today. First we hear their Venom movie has come back to life, and now the studio’s ambitious 23 Jump Street/Men in Black crossover is firmly moving forward. We learned last spring that the studio was looking to revive its Men in Black franchise by crossing it over with their successful Jump Street franchise, and now those plans are coming to fruition as Variety reports that The Muppets director James Bobin is in early talks to take the helm. Jonah Hill and Channing Tatum will reprise their Jump Street roles in the film, which Sony is hoping to have ready to start production in June. However, Will Smith and Tommy Lee Jones will not be appearing, meaning this crossover serves as reboot for Men in Black with the opportunity to cast two young up-and-comers as the proverbial Men in Black. This will no doubt become one of the most sought-after projects for any actor between the ages of 18 and 30, so prepare yourselves for a slew of casting shortlist stories. Phil Lord and Chris Miller will produce the film as they’re too busy to direct on account of some little Han Solo Star Wars spinoff movie that they’re directing for Disney. 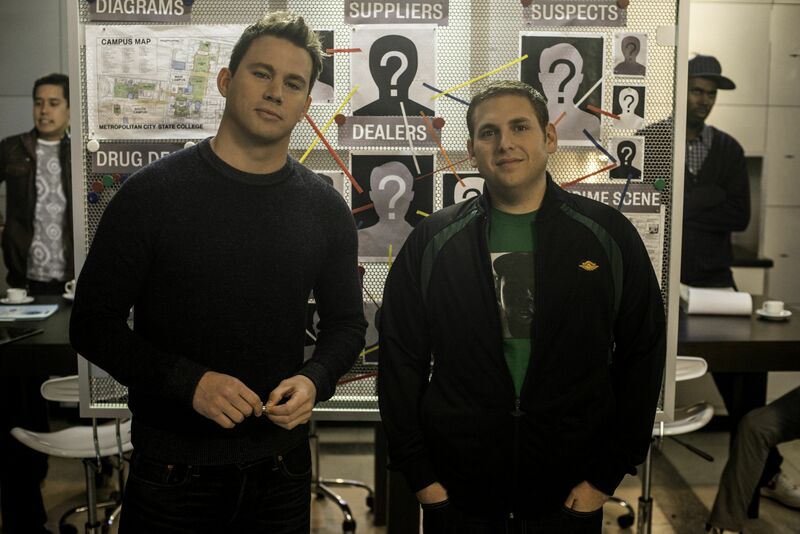 Neil Moritz, who produced the first two Jump Street movies, will also produce this crossover. Bobin, meanwhile, is coming off of jumping from The Muppets to the high-profile Disney sequel Alice Through the Looking Glass so he has plenty of experience A. With big effects budgets and B. Stepping into the shoes of accomplished filmmakers. His work on Da Ali G Show and Flight of the Conchords, which he co-created, also bodes well for his handle on the very specific comedic tone of this crossover. This essentially serves as a way to do 23 Jump Street without having to address the glorious joke during the closing credits of 22 Jump Street, as this isn’t an official sequel so much as a crossover—although a cameo from Bill Hader’s chef couldn’t hurt. I’m curious to see exactly how this film will work, but Tatum and Hill have such great chemistry that I’m sure they’ll translate to the Men in Black realm perfectly. Dropping Jenko and Schmidt into the secret world of extra terrestrial activity makes for endless possibilities, so I’m eager to see this one come together.